Jonathan is a Professor in the Hunter Centre for Entrepreneurship at the University of Strathclyde, where he serves as Director of Teaching and Knowledge Exchange.He has held research and teaching posts at London Business School (UK), Babson College (US), INSEAD (France), and University College, Cork (Ireland). He was an associate coordinator of Global Entrepreneurship Monitor (GEM) in its founding year and have served as an elected member of the board of the Global Entrepreneurship Research Association (GERA). He us currently a member of GERA’s Research and Innovation Committee and recently project managed a major grant from the EC DG Employment, Social Affairs & Inclusion for the Global Entrepreneurship Research Association. He also co-directs GEM in the UK with Professor Mark Hart of Aston Business School. 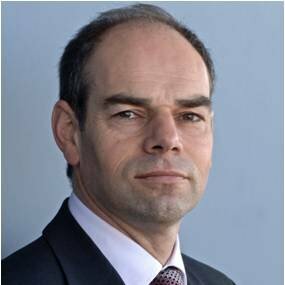 He is the Theme Leader on Research Theme 1 (Ambition and Growth) at the UK’s Enterprise Research Centre. He is currently a member of an EC DG Employment expert panel on entrepreneurship and social exclusion and recently served on an EC DG Education and Culture expert panel on data and indicators on entrepreneurial learning. He is the Scottish universities representative on Scotland’s MIT Regional Entrepreneurship Acceleration Program (REAP) core team, which aims to engage stakeholders nation-wide in a collective impact approach to enhancing the innovation-based entrepreneurship ecosystem in Scotland. With Sharon Ballard, a US-based entrepreneur, he developed “Supercoach Entrepreneurial Training”: a set of coaching tools and techniques for coaching first-time entrepreneurs, and has coached entrepreneurs in a wide range of sectors from agri-tourism to high technology in the US, Europe, and the Middle and Far East. His most recent articles have appeared in Journal of Management Studies, Research Policy, Entrepreneurship Theory & Practice, Small Business Economics, and Family Business Review, among others.